You're going to college! The big question is: how do you pay for it? Fortunately, your college probably has a number of payment options available. 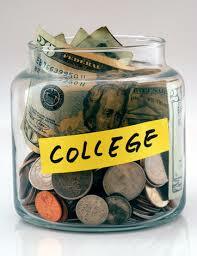 Some colleges offer creative financing plans, called deferred payment or installment plans. "An installment plan just makes it easier because it spreads it over a time period," says Melissa Sotudeh, a wealth advisor at Halpern Financial, Inc. in Rockville, Maryland. "It's great because it helps families to plan payments during the school year." An installment plan allows a student to break up tuition, paying a balance over a 9- or 10-month period. So if there's $5,000 gap in paying tuition, for example, the remaining balance might be spread over 10 months with a $500 monthly payment. Your choice of payment plan will depend on which college or university you are planning to attend, but almost all extended payment plans come with fees (typically between $30-100 per year). If the option you need isn't available directly from your college, ask the college’s financial aid officers to recommend a company that can provide alternatives. There are several companies that make these types of plans available, although the fees for going through a private company can be even higher than if your college offers a payment plan directly. Be sure you understand all the terms of your tuition payment plan before signing any contracts. When you think about which payment plan you need, make sure to think about the college expenses that are not included in the amount you're billed by the college. Be prepared to pay for books and supplies, personal items, and travel. If you aren’t going to live and eat on campus, your room and board are not included in the college’s bill, and you have to budget for those additional costs.